Professional web development company offers offshore IT outsourcing web development services including professional web site development, ecommerce web site design, dynamic page generation, shopping cart programming, database development with development platform like .NET, PHP, ASP, JSP, Flash Action Scripting. There are many benefits with Web 2.0, such as being able to have an advantage on websites or in e-commerce business when it comes to increasing your users interactivity. This system clearly gives you the cutting edge over Web 1.0 which was a traditional way of website designing. 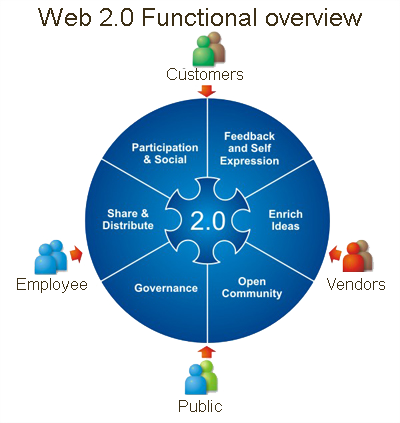 With this advantage, our customers using Web 2.0 become successful with their user interface results, making them successful in business on the Internet. 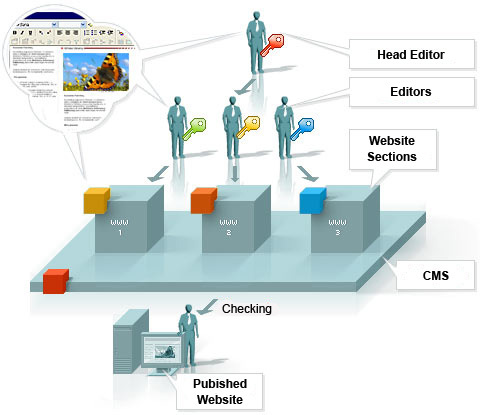 With our Content Management System (CMS) and modules, we will be able to truly give you control over your website. If you want to add features like images, news, products, flash video streaming, articles, subscriptions to your website, we will make it manageable for you to add the content you want, without taking web programming classes. To Develop, Integrate, Maintain Your Web Presence Effectively. When you engage with us to make the web work for you, we first develop a web development strategy. Till the time project gets complete, we work in consultation with you, step by step to implement unique web strategy to your fullest satisfaction. We work with you to determine the focus, purpose and style for your site. We use latest technologies and processes to build secure and reliable web sites. We develop websites, web applications, database driven sites, corporate intranet design & development and further renovate existing websites. GIS team attaches a great deal of importance in building your brand identity by raising familiarity and sense of bonding with the end users. We take extra care of style, language, graphics, color scheme, navigation structure and integrating every page and element on your site with your overall image and thus create a brand identity for your business. Geographical advantage contributes cost advantage that we pass on to our clients. Website development. E-commerce websites. Social networking websites. Travel/News portals. Website maintenance. Flash websites. Classified websites. Matrimony Websites. Automobile Websites. Real Estate Websites. NGO’s Websites. Job portal Websites.